The Building Products & Services sector has seen over 3,300 sector transactions complete in the last six years, with double-digit growth in volumes sustained for four years. Despite a muted economic backdrop, interest in construction materials and associated services is elevating, as strong fundamentals and bright spots in the market drive opportunities for growth. 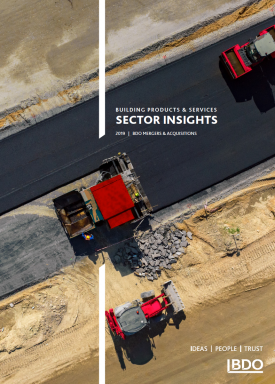 According to BDO’s latest sector insights publication, growth in volumes has been driven by rapid technological innovation, legislative changes, plus evolutions in supply chains and business models. The skills shortage, the imbalance of power in the supply chain, and thin profit margins are all piling on pressure, spurring business leaders towards new innovations and opportunities to drive value. In the UK, the construction sector contributes 8% of GDP and employs over 3.1 million workers, so it is not surprising to see the Government putting weight behind it. Adopting a two-pronged approach, the Government is aiming to stimulate demand on the one hand, and tackle the £15 billion productivity gap on the other. The £37 billion National Productivity Investment Fund is galvanizing growth in infrastructure, while a whole raft of policy measures are in place to support the new-build housing market. Meanwhile, Government continues to incentivise innovation through its Sector Deal, advocate productivity-boosting off-site construction methods and support regulatory changes that improve environmental impact. Alongside favourable market dynamics which create an attractive backdrop, the general landscape of the Building Products & Services sector presents enormous opportunity for the shrewd trade or financial investor. Highly fragmented, with a large population of smaller businesses, many companies offer an attractive investment case due to a unique product, a defensible route to market, alignment with macro trends or early adoption of technological innovation. Opportunities to add strategic bolt-ons, to buy & build or consolidate abound. Moreover, inefficiencies exist, with numerous businesses ripe for operational improvement. These prospects are attracting increasing numbers of private equity investors, which in turn is creating a highly competitive deal environment. 26% of deals had private equity involvement in 2018, a rise from 20% in 2017, while average valuations rose to 7.1x EV/EBITDA, up from 6.9x in 2017. Certain subsectors are of particular interest: since 2008 27% of Windows & Doors transactions, 35% of Kitchen & Bathroom deals and 31% of Roof, Cladding & Insulation deals have attracted financial investors. But the most active sectors overall in recent years have been Building Materials and Heating, Ventilation & Air Conditioning (HVAC). 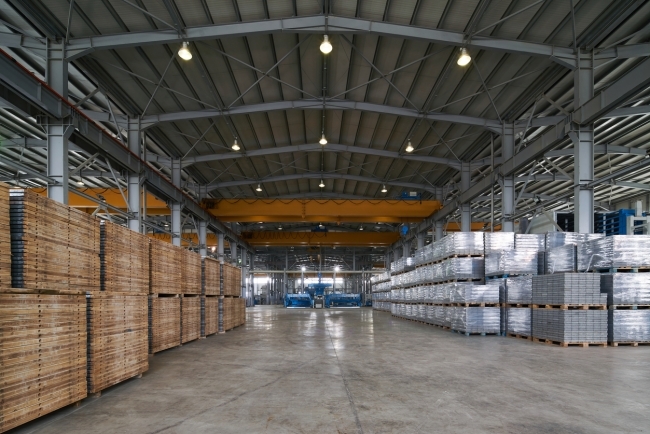 Building Materials offer investors a stake in essential, typically high-margin raw materials, including greater control of the supply chain. 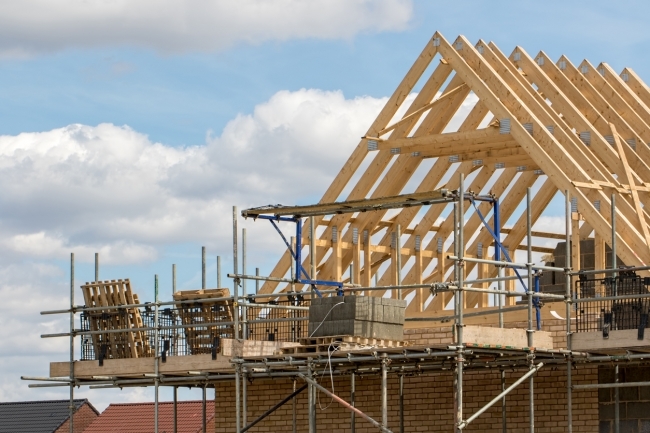 Sustainable, versatile and increasingly popular as a building material in England, timber businesses are particularly attractive currently, and seeing high levels of deal flow. Private equity investor Cairngorm was very active in 2018, making a series of acquisitions to accelerate the establishment of its National Timber Group. Most recently, BDO advised on the MBO of Snows Timber from Bradford & Sons, which will enable management to achieve their growth ambitions for the business at an exciting time when the market demand for timber in construction is increasing. HVAC is characterised by regulatory change and technological developments. HVAC is seeing particularly high levels of cross-border deals, for example Volution has continued its drive into international markets with four acquisitions in 2018, in New Zealand, Denmark, Sweden and the Netherlands.